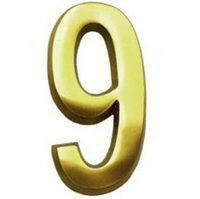 The number 9 is significant in Biblical numerology because it is the most remarkable number. Number 9 possesses powers and properties that no other number is found to have. This number is revered by all those who study occult sciences. One of its important mathematical properties is that the sum of the digits of its multiple is always a multiple of number 9 itself for example 2 X 9 = 18 and 1+8=9. Since number 9 is the last digit so it signifies the end or the conclusion. Therefore it is a number of finality and judgment. It is intricately related to the number 6, as the sum of its factors is equal to 6 (3X3=9 and 3+3=6) and thus it implies the summation of man’s work. The gematria (which means assigning numeral values to words) of the word Dan which means judge is 54 (9X6) thus exemplifying that number 9 is a number of judgment. The gematria of the solemn word ‘amen’ equals 99 and amen marks the end of every prayer. Nine is the square of 3 and 3 is the number of Divine perfection therefore number 9 signifies finality in divine things. The other instances which exemplify the significance of number 9 in the Bible are the words like lightning, ungodly, deep occur 9 times and are somehow related to judgment. The gifts of the spirit are also nine in number. Nine widows in the Bible are given special mention and nine people were afflicted with blindness and nine with leprosy. Thus number nine is the most remarkable number because of the distinct and powerful characteristics it has. It is a unique number with powers surpassing all other numbers. It is the number of finality and conclusion. It signifies the end of all matters be it man’s work or Divine matters.